Planet Strike is really messed up, there's 4 types of events running on automatic loop. There's the old model that comes in 3 types, one for each armor(spectral, deflector and shockwave) and in the same loop runs the NEW model type, which was introduced due to player feedback. 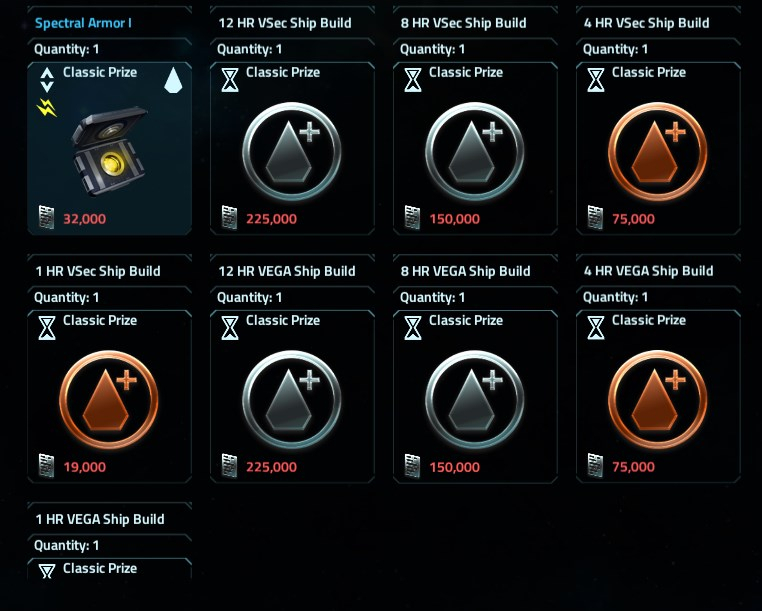 The old types have very high intel cost for all items, takes about 30 minutes to get enough intel for a single piece of armor, running auto fleets, if few other players are doing the same in planet. Is trivial for higher level players, very boring in case you plan to use those as fillers and is not helping lower level players. The new model has more reasonable lower intel costs, but when that model was introduced, the old models were NOT removed, so now we have a situation where the SAME items have different intel costs(for example build tokens for Vsec and Vega) which is very confusing. I kept complaining about this in Discord and Tickets, got 0 feedback from Kixeye. 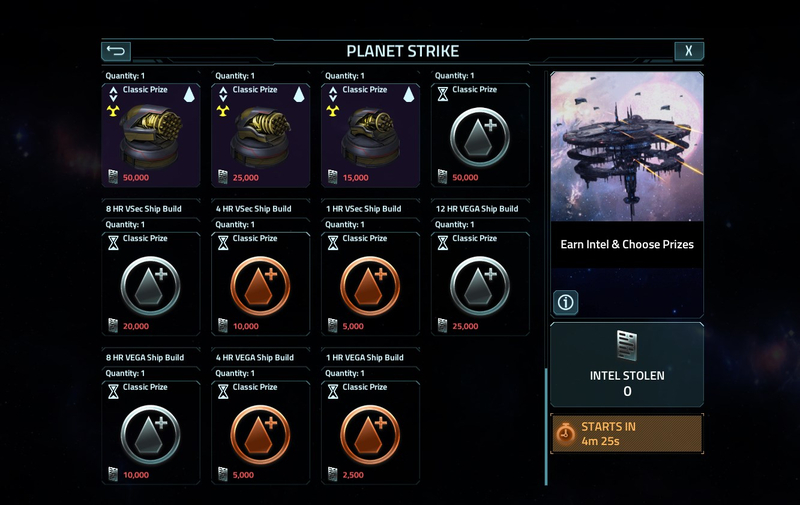 Alien Strike is also messed up, some items no longer show in the event shop since months, no longer obtainable in game!!?!?!? Why is that ? Harmonic Xeno Beam Capacitor, Harmonic Xeno Siege Casing, KIAL Tungsten Armor?!?!?!? These items were rolled by Alien Strike and now is not happening anymore, why? Adding Redeemer Missile lvl 1-2 to the missing list. Also how can you explain the different pricing for the same items in Planet Strike rolling recently ? Add in Eclipse Drivers to the list of things that need added. As well as Redeemer Missiles. Honestly, I really think all existing tech needs to be obtainable by some means. I'll pass this up to the team, thanks for letting us know!